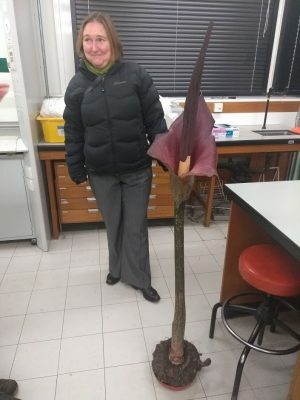 You are probably familiar with Amorphophallus titanum, the titan arum, which has the largest unbranched inflorescence in the world, but do you know about its smaller, red tongued sibling Amorphophallus konjac? Origins of the word konjac prove a bit more difficult to track down, but seem to be derived from the Japanese word konjaku or konnjaku. The name may be in reference to the Konjaku Monogatari Shu, “A Collection of Tales of Long Ago”, which is an ancient compilation of tales from Japan, China, and India. [xi] Although there is no known author, this piece of work is considered to be an integral piece of Japanese literature. 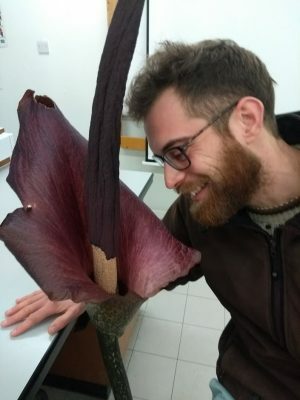 Despite the potential connection to this literary collection, the full etymology of the word “konjac” remains unknown. A. rivierei var. 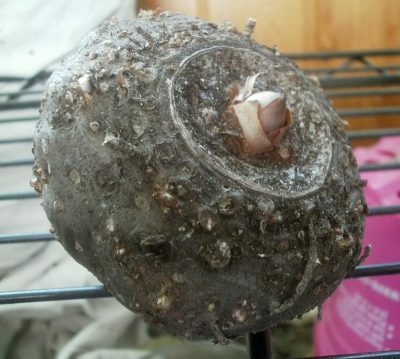 konjac (K.Koch) Engl. Hydrosme rivierei (Durand ex Carrière) Engl. Proteinophallus rivierei (Durand ex Carrière) Hook.f. 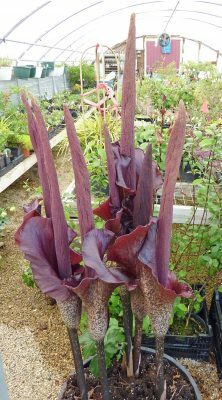 Despite the rancid smell of A. konjac, many still purchase and proudly display this plant, waiting with bated breaths for the devil’s tongue to reveal itself! 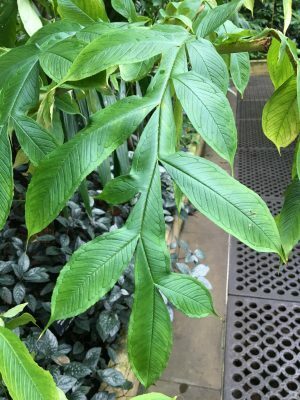 [xix] Borompichaichartkul, C. (2016) Tracing the Evolution and Economic Potential of Konjac Glucomannan in Amorphophallus species (Araceae) using Molecular Phylogeny and RAPD Markers. Phytotaxa, 282 (2): 81. All photos by Lauryn Gilroy unless otherwise attributed. 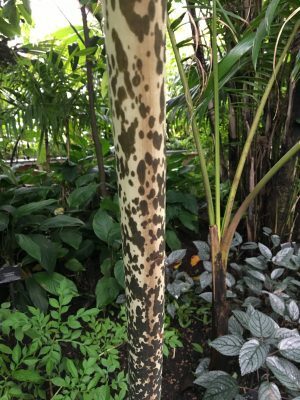 This entry was posted in Africa, Asia, Learning and Teaching, Monocots, Philippines, Students and tagged A. konjac, Africa, Alismatales, Amorphophallus, Amorphophallus konjac, Araceae, Aroideae, arum, botany, culinary, devil's tongue, Interesting plants, Japan, Japanese, Kew, konjac, konnyaku, medicinal plant, Medicine, Monocots, MSc Plant Diversity, snake palm, spadix, spathe, Subtropical plants, teaching and learning, terrestrial herb, Tropical Asia, Tropical biodiversity, Tropical Crops, Tropical food plants, tropical plants, voodoo lily. Bookmark the permalink.